$2845.62+ High End RGB build with GPU mod and riser cable mod!!! Can have up to six on one controller, amazing! Great fans that come pre assembled in the 570x case. Shift a lot of air whilst not making a great deal of noise. Lots of cool RGB configurations allowing you to never get bored of your build. YOU NEED THE FAN CONTROLLER FOR THE LEDS TO WORK! Mine are in "Demo" mode because I can't be bothered changing them. Lovely looking fans, however the lack of a pwm or 140mm option has be seriously annoyed, plus the fact you are forced to attach a switch to control the led colour, the only way to control it from the comfort of your keyboard is to buy a corsair commander. RGB and not that loud surprisingly. 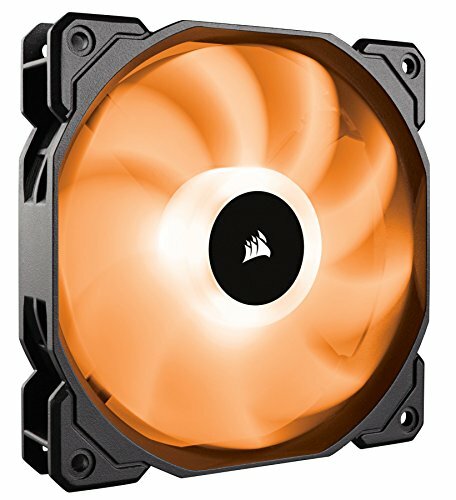 Keeps PC cool at around 40-50 celsius under load. I like the lights, but it would be better if it was RGB-wave, and the fans coud be more silent, but that's not a problem since I can controll all my fans using SpeedFan. Quality fans for sure, but there is a glaring problem: the dongle controller. 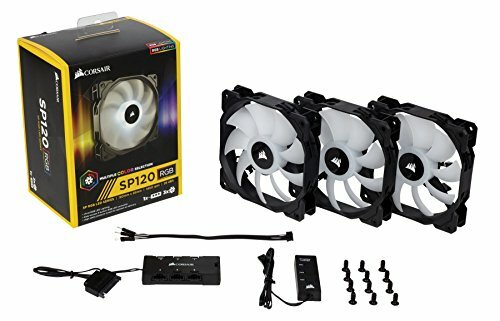 Now, depending on your tastes there are ways to make it work inside or outside the case since it has back-tape- however, I'm still not thrilled they need a separate hub from HD/LL fans & they are not compatible with the Lighting Node Pro.